Technology has evolved a whole lot since the emergence of the internet. Before now, it was considered impossible to watch videos online let alone recording same videos but technology has made it possible to not just watch videos on the internet, you can now record these videos to share with friends or watch later offline with free online video recorders. There are lots of online video capture apps, both paid and free software, which allows you to capture moments in a video, record videos directly from a website through your browser, and do so much more. This brings us to the big question – which online video screen capture is best to take videos online? The truth is that there are lots of free online video recording software out there with unique features and this makes it difficult to choose which is actually the best online video capture. My professional advice is to have a complete knowledge of the different online camera recorder so that you know what they have to offer before purchasing or downloading one. Here is an unbiased review of the top 5 best free online video recorders you can try out. Each of the software analyzed has got its unique features as such none is rank higher than the other. Check out the features and choose one which works best for you. Let’s dig in! Oh, before then, let’s take a look at some of the noteworthy features of comparison in the top 5 best online video recorders. We have carefully selected the top 5 best online video capture that requires no download. As I mentioned earlier, each of them has got its unique features. But to make the decision-making process easier, let’s take a look at some of the features that are worthy to note. The User Interface – Whether it is user-friendly, that is, easy to navigate through, or not. Video Editing Tool – It is advisable to get an online video recorder that allows you to edit the recorded video to your desired taste. Video Quality – An ideal online video recording software should be able to produce high-quality video recordings. Other features – Besides the aforementioned functions, there are peculiar features that a good online video taker must have. These features differ from individual preferences. So, be sure to look out for one which has those special features you are searching for. AceThinker is one of the best online video capture software that has proven to be a great tool for recording free online videos on both PC and Mac. It comes with a user-friendly interface that allows just about anyone – beginners or professionals, to record flawless videos and in real time too. The easy-to-use online video taker is packed-full with interesting features, which makes it a go-to software for most persons. With AceThinker, users are provided the opportunity to edit recorded videos to their desired style and taste. Besides videos, this online video screen capture also allows you to record audios too and if you choose to record them simultaneously, it has got you covered too. Exporting files is made easy with AceThinker as it is designed to allow its users to export the output file in different formats. To relish the many benefits that come with this free online webcam recorder, you just have to follow three simple steps. First, you will have to set up the recorder after launching it on your PC. Be sure to adjust the default setting to your desired style e.g the output type, storage location, effects, etc. Second, simply click on the ‘REC’ option and begin recording. Users are also allowed to edit videos while recording. Third, after recording, click on the pause option and the check mark to save the recorded file to your computer device or Google drive. Looking to record high-quality videos online? Whether games, video chat, webcam, etc, you should give Apowersoft a try. This online video recording software does not just allow you to record screen time, it provides you with the opportunity to choose which part of the screen you wish to record. Like most free video recorder, Apowersoft allows its users to record audio and video at the same time. To enjoy this web-based recording software, you will have to download the launcher application from the official website and have it installed in your PC. Users are also allowed to adjust the settings to their desired taste and covert the files to different formats – MP4, AVI, FLV, WMV, etc. What’s more? This online video recorder also has a professional desktop version that allows you to perform way more than you would with the online application. You also get to upload videos to YouTube, ShowMore, and the likes. Webcamera is a great choice for real-time online video recording. The online video recording software developed by 123apps.com is equipped with lots of features that make it stand out from other apps that are used to take video online. Webcamera is designed with an easy-to-use user interface that allows for easy navigation for both beginners and professionals. This free online webcam recorder provides its users with fast high-quality recordings from their web browsers and allows them to adjust the video setting to their desired taste. With the Webcamera, users are also allowed to capture images with just one click. Clipchamp is yet another amazing free online video recorder you can use to record and upload videos without stress. 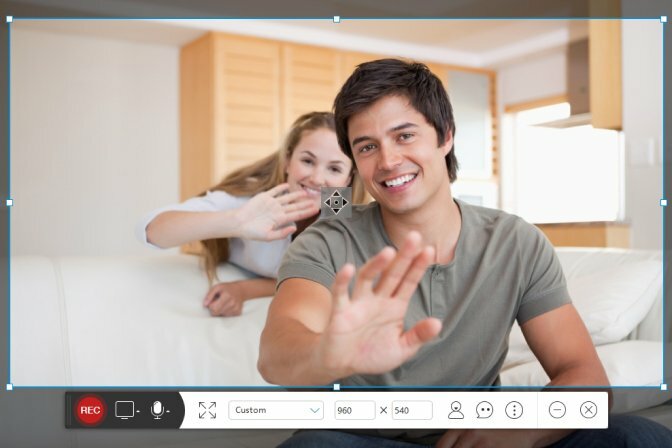 The webcam-only video recording software, like most free video recorder which requires ‘no download’, allows its users to save and convert files to different formats. With Clipchamp, you can compress files to smaller sizes without losing the original quality. Users are also allowed to adjust the video setting to their preferred style. Clipchamp is equipped with other noteworthy features such as a variety of resolutions (360p, 480p, 720p, and 1080p), built-in webcam and mic, USB webcam, external microphone, etc. Using this online video taker app is pretty easy, you just have to click the ‘start recording’ option and you are good to go. To save the file after recording, simply click on ‘done.’ After which, you are provided with the options to edit the recorded video to your desired state. For users, who wish to upload the recorded videos, you can upload the video to online platforms such as YouTube, Vimeo, Facebook, and the likes. This is a good online video screen capture with sound to record online games and videos with no restrictions whatsoever. Fotofriend is equipped with lots of amazing features that would make it a good pick for everyone. It is designed with a simple-to-use user interface and provides a lot of functions other than mere video recording. For those who are concerned about special effects, Fotofriend is your best shot as it is packed full with over 55 webcam effects that you can employ both in recorded videos and while recording a video online. Besides the effects, capturing pictures is also made interesting with this online camera recorder as users are allowed to customize their pictures with lots of stickers and so much more. Uploading videos is also made possible with Fotofriend. Also, users are provided the ability to upload recorded files to online platforms like YouTube. In the end it’s worth finalizing that every piece of the abovementioned online video recording software has its own unique features that make them the best free online video recorders on the internet. 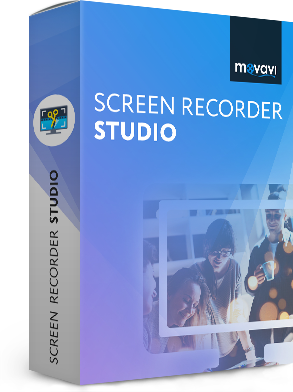 But there’s one more program that is also worth your attention – Movavi Screen Recorder Studio. This user-friendly software will help you record any video on your computer and then fully edit it in the built-in video editor. Download the free trial version and check out all of its capabilities.